12.4.2017 We had a screening yesterday night at a friends place in Nepal: Papa’s House in Kathmandu, where many ex-Kamalaris live. Seeing the young girls watching our film, watching them recognising that their story is told far outside of their own country was emotionally challenging. 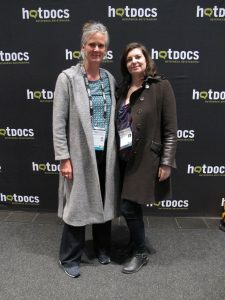 After the film a woman from Belorussia, who is currently volunteering at Papa’s House wanted to let us know that even there are no Kamalaris in her country she could feel the strong connection to Urmila’s life. In Belorussia activists like her, putting their lifes into play for political and social change are just vanishing. Disappearing from one moment to the other. While talking about that she couldn’t hide her tears. What a long way to democracy, she said. If ever. And then I thought about the public reactions over the past year where people from allover the world relating their lives and experiences to the film. No matter were they came from. Kirgisistan, Mexico, Columbia or Sudan. 20.3.2017 Kathmanu Human Rights Filmfestival. These are our buddies coming from all over. India meets Pakistan meets Chile meets Spain meets Nepal and Germany. That’s what film can do. Thanks to the german embassy to host us. 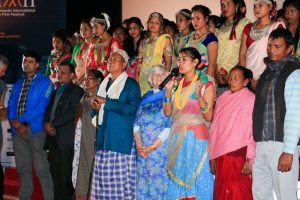 14.12.2016 KIMFF 2016: we invited 60 FKDF-girls to come to Kathmandu, it was a powerfull and touching demonstration on stage. Urmilas parents, her brother and wife were with us. Sarmila and Karmu. First time in the cinema. And 92 year old Olga Murray, founder of NYF. Man Bahadur Chhetri sold with 2 ex-Kamalari girls hand-made clothes. And together with NYF we co-hosted the premiere-party after the screening. Incredible impressing day (photographs by Sanjoy Maharjan). 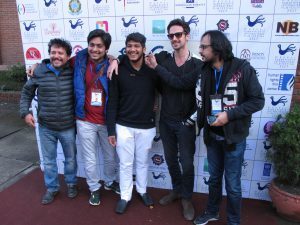 Thank you so much KIMFF for choosing our film, the jury who honoured it and the nepalese audience that was so amazing. 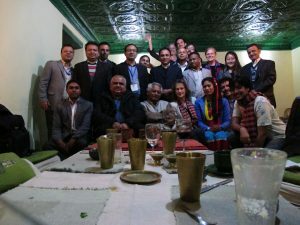 We are happy that the circle came to an end, that Urmila could bring her parents, brother and auntie to Kathmandu. 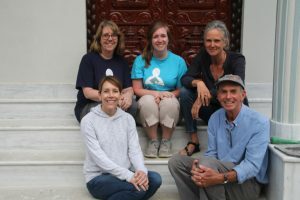 Man Bahadur Chhetri, Olga Murray and lots of the NYF-staff could be with us. And we will never forget the powerfull ex-Kamalari-girls on stage of the Kumari-Film-Hall. What an adventure to have them in the capital finally. Thanks to Michael Hess for hosting them at Papa’s house. And thanks to all who helped to bring this film to life. We have chosen „Urmila – My Memory is My Power“ as this year’s Main Competition First Prize because of its brilliantly executed and clearly structured documentary journey through the eyes of one young woman’s personal, brave and tireless fight for justice. 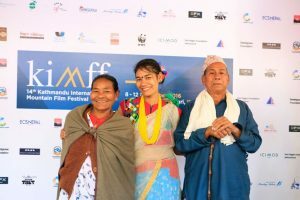 For what is a very poignant, very real and distressing subject matter about an extremely remarkable young woman and her tireless efforts to save young female children from the fate that she suffered herself in Nepal society, the documentary is executed clearly in its facts through rhythmic editing and pacing but what makes it unique is not just for being beautifully shot, but also for the original, and at times almost lyrical way that it avoids being drawn into sentimentality and judgement so therefore consistently remaining impartial to the problems thereby letting the audience draw their own interpretations and conclusions from what they see and hear. 29.6.2016 Theatrical release in Germany: Rock’n Roll, 25 cinemas in 16 days … and a great experience. Thanks to the audience, the cinema-owners and the press. You were just wonderfull. 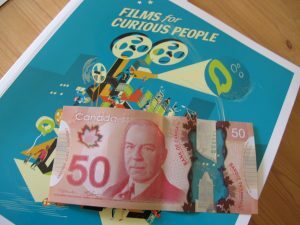 2.5.2016 Toronto, Hot Docs: Watching the wonderfull movie GULISTAN, a nice stranger next to me asked me if could hand this money to the Kamalari-girls in the film, he wants to support them. Even some days and many awesome movies later he still remembers URMILA and the FKDF girls. Your impact is powerfull girls! 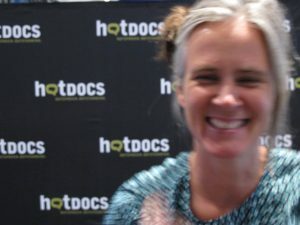 29.4.2016 International premiere: Hot Docs, Toronto! What an audience! What a festival team! Very touching event. Big thanks to Daniela Syrovy and her agency CLUTHPR for promoting our film.